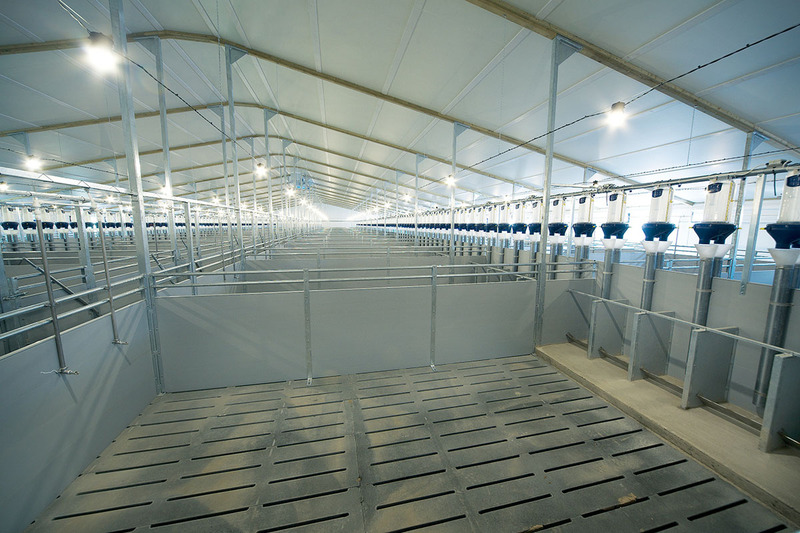 With a photoperiod of 16 hours light and 8 hours darkness yields a production saving of £5.16 per pig with 15% improvement in daily live weight gain (DWLG); Feed Conversion Rate (FCR) 10% improvement and an 11-day reduction in days to finish (grow to slaughter weight). On a typical finishing unit, this will give a return on investment within 12 months coupled with additional savings on power usage. ALIS LED lighting is installed at 2.5m (approx.) which makes cleaning and maintenance safer and more practical. Developed here in the UK, the unique system is safe, energy efficient, easy to install and now scientifically proven to improve productivity and welfare. Farmers who invest in the Greengage induction powered lighting system will have the infrastructure in place to add the new range of environmental sensors due to be launched later this year. For a bespoke design and conversation about how Greengage can improve your farm profitability please contact the team on +44 (0)131 650 8850.